Operating an extrusion line at its optimum throughput and quality at best utilization is anything but easy. Only with a well-trained staff optimum results can be achieved. At the same time knowing the most recent technical developments can be the cutting edge in the competition race. Thus, training is an indispensable factor for success. 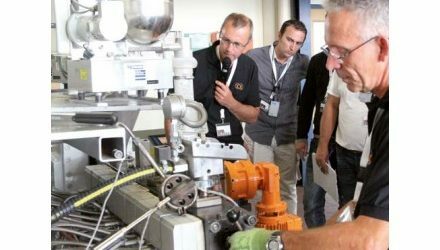 The Leistritz Extrusion Academy is a training program which allows for optimum interaction between theory and practial settings. In our well-equipped lab the theoretical content can be illustrated and tried out immediately – because practice makes perfect! Priorily responsible operating personnel, foremen and persons responsible for production.